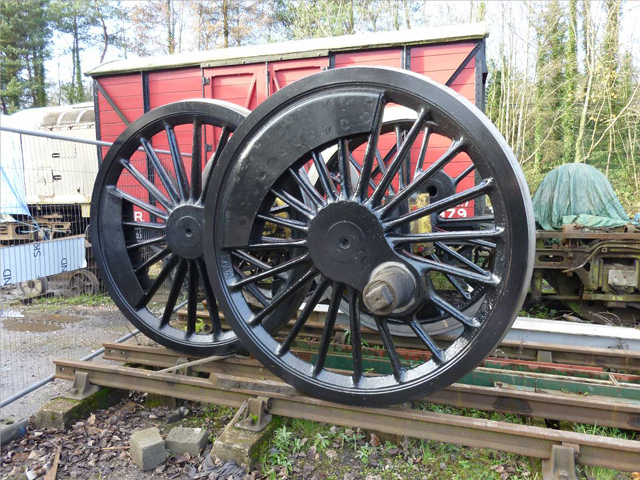 South Devon Railway Engineering has just completed an extensive overhaul of the driving wheels from Standard 5 No.73082 “Camelot” which is based on the Bluebell Railway where it is currently undergoing a 10 year heavy general overhaul. The driving wheels required retyring and also work on the roller bearings. The bearings were first examined to decide the way forward. The roller bearings on the engine are housed at each end of what is called a ‘cannon tube’ which completely encases the axle and is filled with grease. The axleboxes are an integral part of the cannon tube assembly and house the roller bearings. Shortly after 73082 was built the design was changed to a two part cannon tube — removeable without taking the wheel off the end of the axle. So, having established that two of the roller bearings were likely to need replacement, and in the absence of this sensible modification, the first process was to remove the wheels off the affected axles using the recently installed wheel press. This done, the bearings were dismantled for inspection and the cannon tubes overhauled. The next challenge was to source replacement roller bearings for the two axleboxes that needed replacement. Surprisingly, the exact design is still available “off the shelf” and two sets were obtained. One hates to think what the cost would be of making two such sets from scratch, so that was good! Next, the right grade of grease was obtained to pump into the cannon tubes. 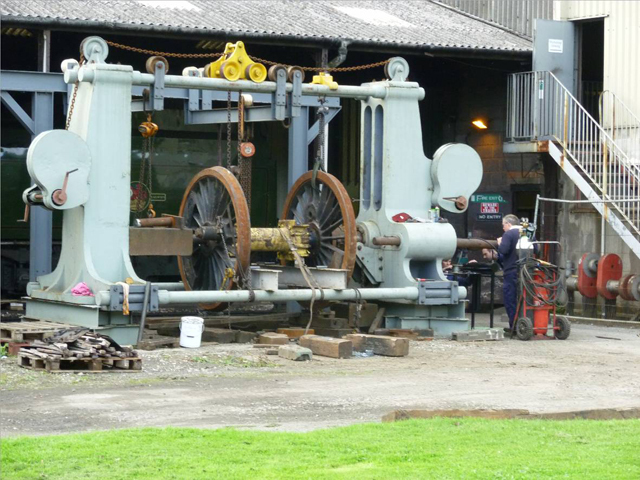 The wheels will be going back to the Bluebell shortly, accompanied by a new front tubeplate for the engine that has also been pressed in the boiler shop at Buckfastleigh works. Earlier news story on wheelpan removal.